Malaysia has a relatively weak environmental policy regarding climate change. Although it has pledge to reduce greenhouse gas emissions by 40% by 2050, its short and medium-term targets are hardly ambitious. Renewable energy featured as a fifth fuel in the national mix in the eighth Malaysia Plan (2001-2005), but capacity excluding hydropower was only 53 MW by the end of 2009. A proposed major shift towards coal-fired generation as gas supplies become stretched over the next decade will only exacerbate the overall problem. In 2010, the Ministry of Energy, Green Technology and Water announced a new renewable energy policy and action plan. This envisaged that 6% of generating capacity (1000 MW) should be based on renewable generation by 2015, and renewable should contribute 2000 MW or 11% of the total by 2020. 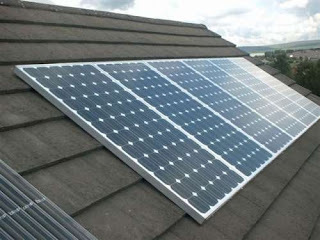 This is due to be supported by feed-in tariffs for renewable generators and guaranteed access to the national grid. However, the law required to support this policy is not yet in place. The Ministry is also drawing up a master plan to improve energy efficiency, which is due to be implemented in 2011. Malaysia has a range of renewable resources it could draw on, besides hydropower, to increase renewable generation. Waste from palm oil production could be used to generate up to 20% of the country’s electricity by 2020, according to one estimate. There is also significant solar potential and the country has some major untapped geothermal reservoirs that could be used to generate electricity. Wind potential is currently being mapped.